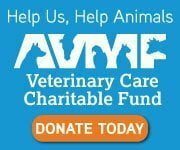 You, as your pet’s most trusted caregiver, play a critical role in ensuring we can set-up your pet for a successful Fear-Free Veterinary Experience long before you even schedule an appointment. 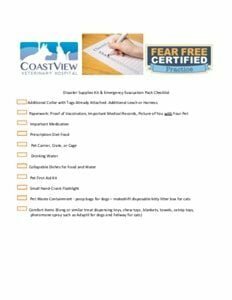 Fear Free Happy Homes is a component of the Fear-Free Initiative developed by Dr. Marty Becker. 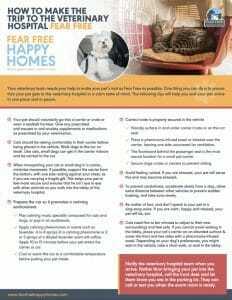 Happy Homes is all about helping you – the pet parent – to foster a Fear-Free environment in your home and your car. Please feel free to download, print, and share the following resources.